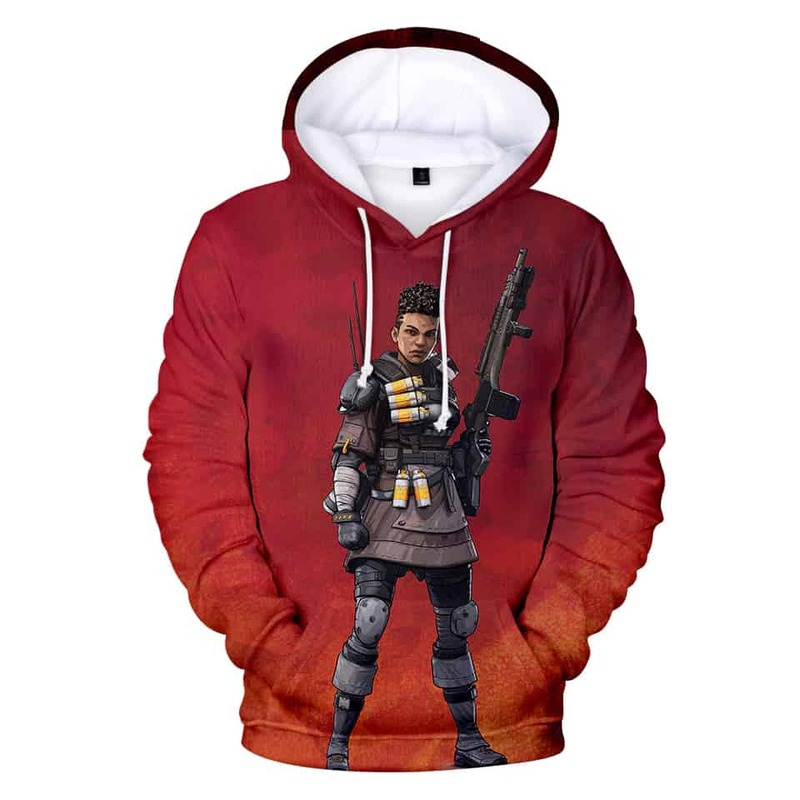 Bangalore Apex Legends Hoodie features Bangalore on a red background. Bangalore was a weapons specialist for the IMC Armed Forces. She now fights in the Apex Games to find a way home. This hoodie features a graphic of Bangalore holding her treasured smoke Launcher.